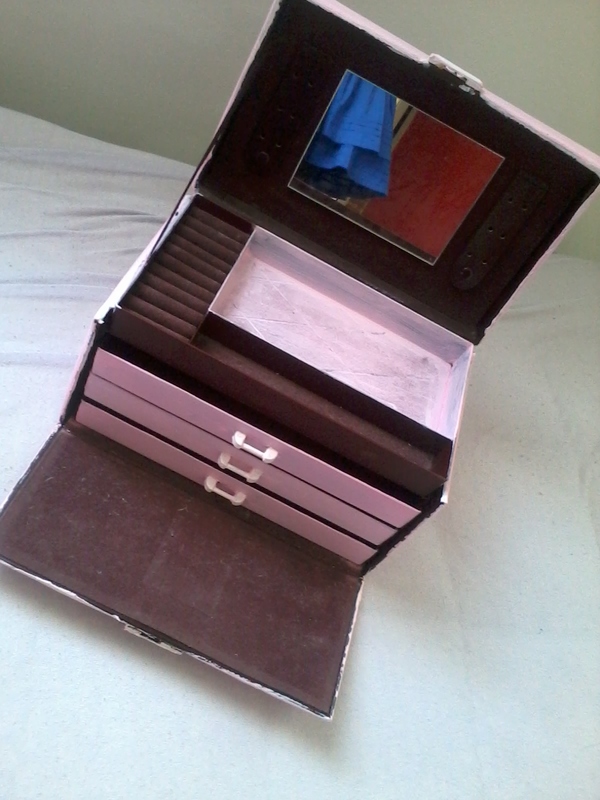 Since ages I had this jewellery case and I never really liked the colour. On a Gyaru blog I saw a tutorial on how to paint a bag with acrylic colours and I thought why shouldn´t that work for my jewellery case too? First I mixed some white and red colour to create a light pink. Apply the colour to the case. It is likely that you will need several coats of colour so that it turns out opaque. 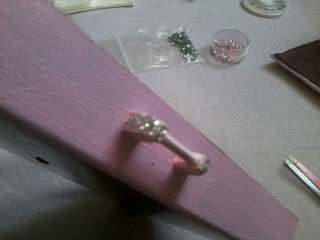 After two coats I had this.. 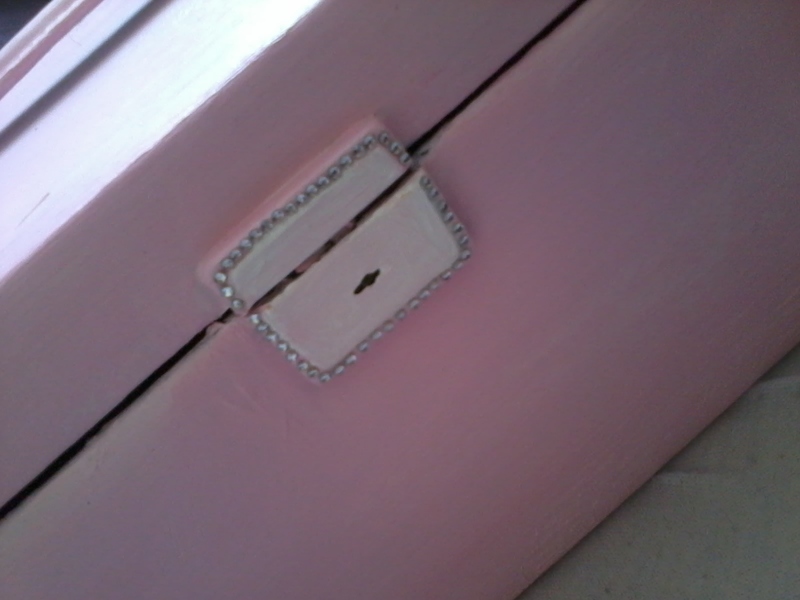 I added some white colour to the lock. 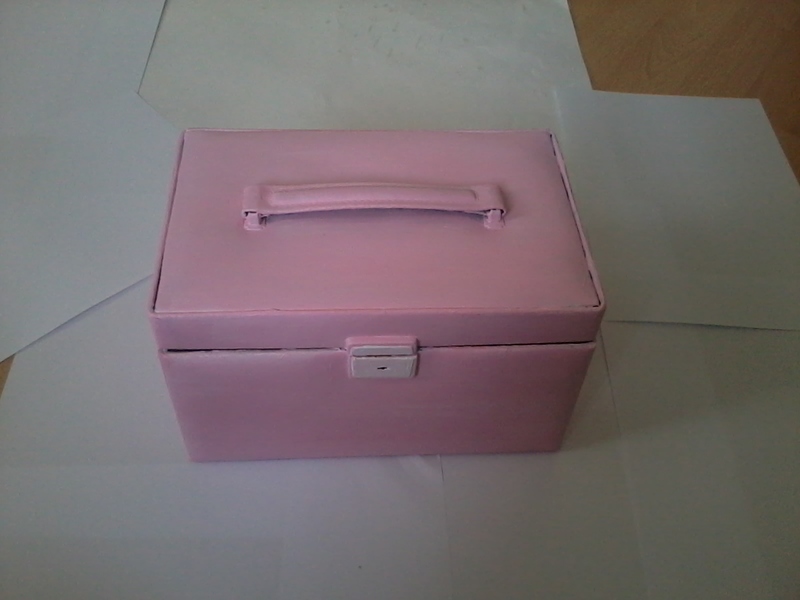 The inside of the case is made out of a soft material so it isn´t possible to add acrylic colour to it.. 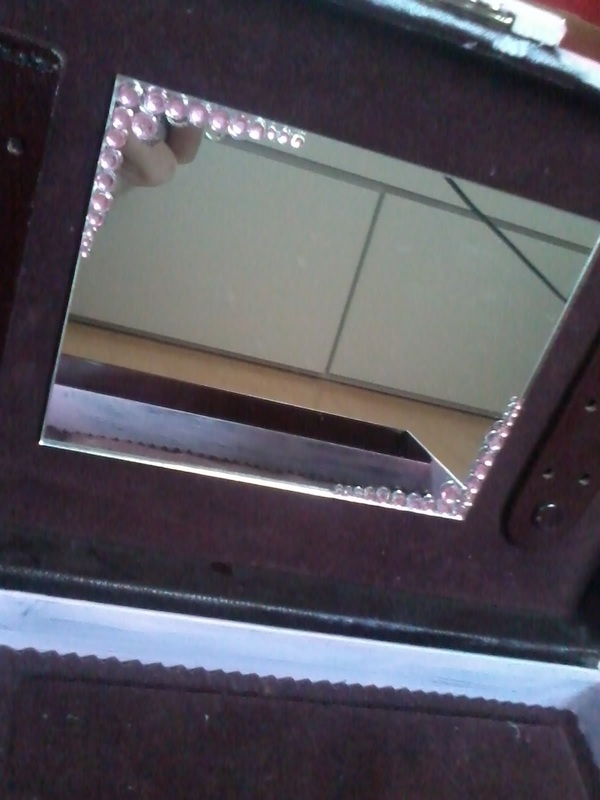 So I only painted the drawers and the big space under the mirror. 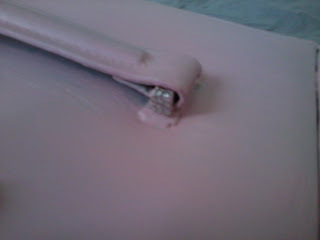 If you do that make sure the glue you use drys transparent. 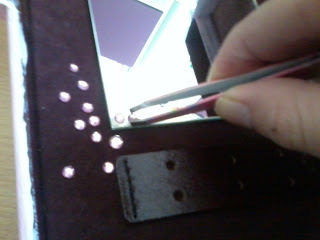 You put a little bit of the glue onto the mirror and set the stones into the glue. Just check that the tweezers do not get full of glue. 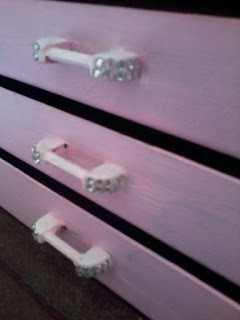 If anybody of you decides to desing their own jewellery case I would like to see it!